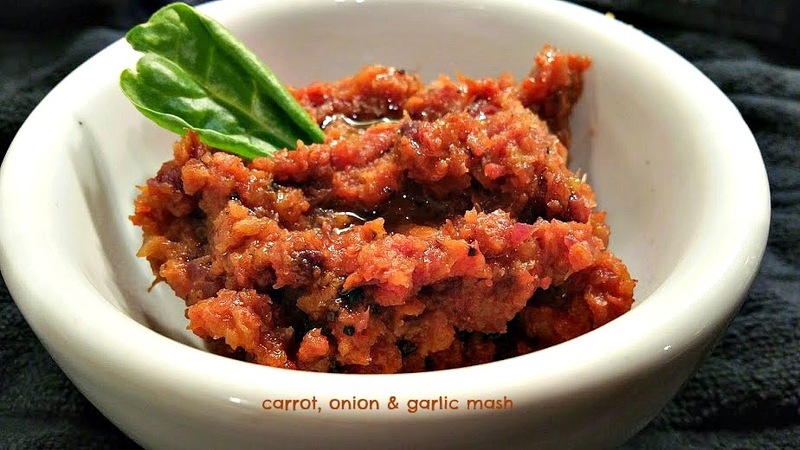 I first saw a version of roasted carrot mash 15 years ago in Food & Wine Magazine and have been tweaking the recipe ever since. I have added onions and garlic to the roasting pan for their sweet, smokey flavour and substituted maple syrup for the honey originally called. for. A healthy splash of extra virgin olive oil finishes the dish. When in season, I often add handfulls of fresh herbs to the carrots. Try the mash as a side dish for Easter dinner, or pair with roasted chicken, fish, roasts or lamb. Perfect with stews. You will find many options for this easy and versatile way to replace potatoes in this warming, comfort food dish. This recipe will make more roasted garlic than you will need. Use the rest in sauces, soups or just spread on toasted french bread drizzled with extra virgin olive oil. Preheat oven to 425 degrees. Line a large rimmed baking sheet with parchment. Cut 1/4 inch off the top of the garlic bulb. Place bulb on top of a piece of foil large enough to wrap garlic. Drizzle 1 tablespoon over the garlic and sprinkle with sea salt. Wrap the foil tightly to form a seal and place on prepared baking sheet. Scatter the carrots around the foil package and drizzle with 1-2 tablespoons of oil. Using your hands, roll the carrots in the oil until coated. Sprinkle with sea salt and pepper. Place in preheated oven at roast for 30 minutes. Remove from oven add the onions, stir to combine, and roast an additional 20-30 minutes or until carrots and onion are very tender. Remove from oven. 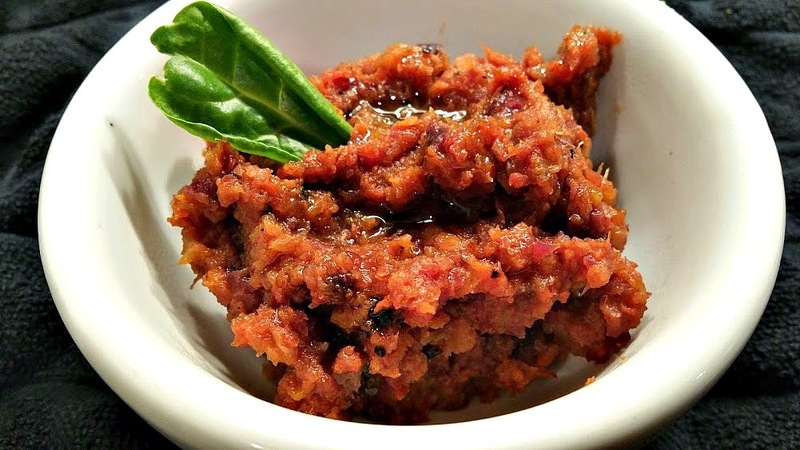 In the bowl of a food processor, add the carrots and onion, including any oil from the pan.. Squeeze 2 cloves of roasted garlic into the carrots. Add the broth, maple syrup and pinch each of salt & pepper. Pulse until smooth with a bit of texture. Add a bit more olive oil if desired. Taste and adjust seasonings. Serve immediately with a drizzle of oil over the top. Springtime means the start of sensational side dishes made from fresh, just-picked produce and this week at Food Network a we are celebrating Anything Mashed.. Do you have a favorite mash recipe? Share in the comments section and/or link to your blog if you have one. And be sure to check out the delicious sounding recipes from my blogger friends and Food Network.